short film – Great Venture Surf Co.
Let’s Be Frank is a visceral journey through the unseen and unknown world of big wave surf adventurer Frank James Solomon, an intercontinental clandestine investigation blurring the lines between myth, legend and reality – leading to the question… Just who is Frank? The Let’s Be Frank Original Soundtrack EP is available to pre-order on iTunes https://win.gs/LetsBeFrankOST or Amazon https://www.amazon.com/Frank-Harper-J… now! Another day, another film festival! So we are continuing on what appears to be our world tour of Surf Film Festivals and are off to the Gala evening of the London leg this evening. It is definitely becoming one of the biggest surf film festivals on the circuit and seems to just be going from strength to strength! In terms of recommendations, tonight will in fact be our third time watching the fantastic Icelandic film ‘The Accord’. This has been GVS Co’s favourite films throughout both Bristol and Ericeira Surf Film Festivals as not only is it beautiful it is absolutely hilarious. We were even lucky enough to meet the main man Heiðar Logi Elíasson when we were in Bristol and not only is he a great surfer he was just an all round nice dude. So if you can make it down tonight, make sure you check it out. Don’t fret if you can’t make it down today as this year not only are they hosting two nights at the Genesis cinema in East London but they are also holding two further nights a week later in a Cinema in central London. The Line up is looking jam packed with goodies, so if you can get down make sure you do. The following schedule has come from their website and includes all links and info that you will need to get your tickets booked. From the multi award winning filmmakers, Gauchos del Mar comes this stunning travelogue. 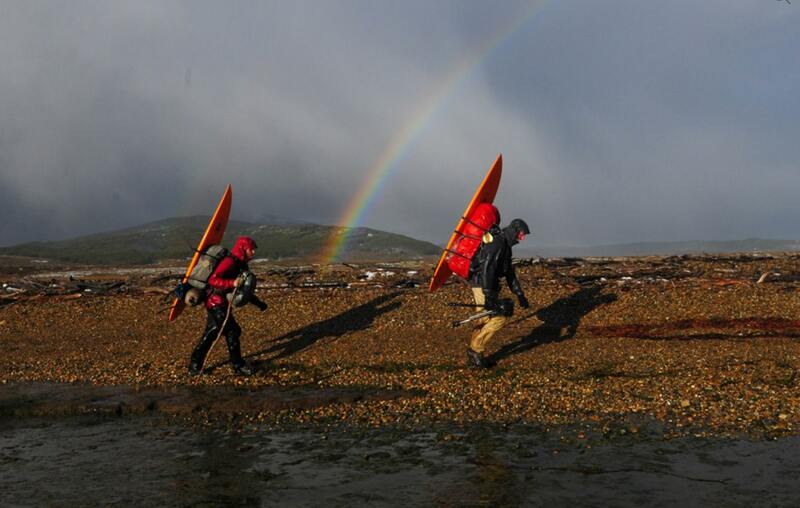 Undertaking a 2 month journey on foot to the uncharted South American Tierra del Fuego Province, the two brothers Joaquin and Julian Azulay set out in search of a mysto, world-class wave that has never before been surfed. They must overcome unforgiving terrain, serious injury and a harsh climate but will they find what they are looking for. A true tale of exploration capturing the spirit of surf adventure. An inspirational tale to stir the wanderlust. Sorria or “smile” in Portuguese will make you do just that. Serving up an all star cast of Brazil’s hottest talents from Yago Dora and Filipe Toledo to Caio Ibelli Sorria takes performance surfing to the next level. Featuring the eye widening waves of Mexico, Indo, California and Hawaii, Director Gabriel Novis has produced what Surfing Magazine has called, “the first surf film to rival the likes of Steele’s, Neville’s or Joe G.’s in terms of high performance surfing with, well…a point.” And we whole heartedly agree. 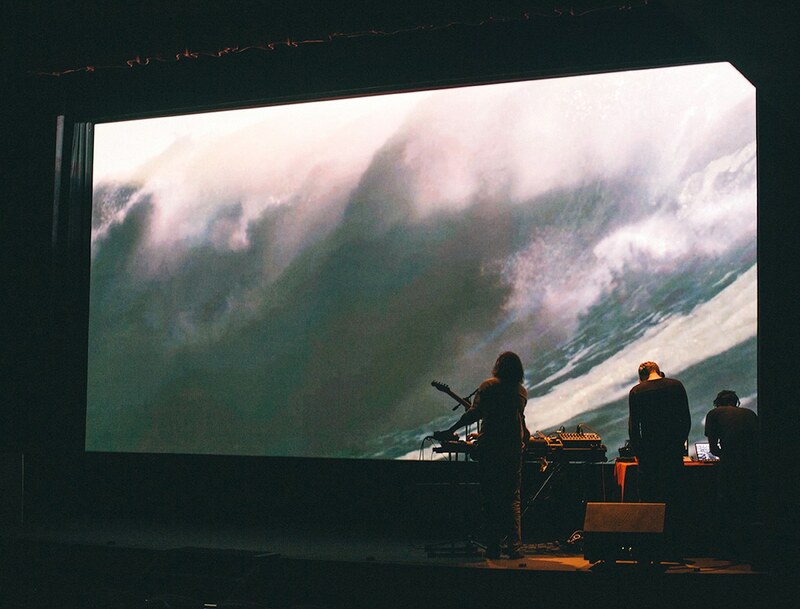 Combining incredible cinematography, killer sound track and dream like waves, this is not to be missed. 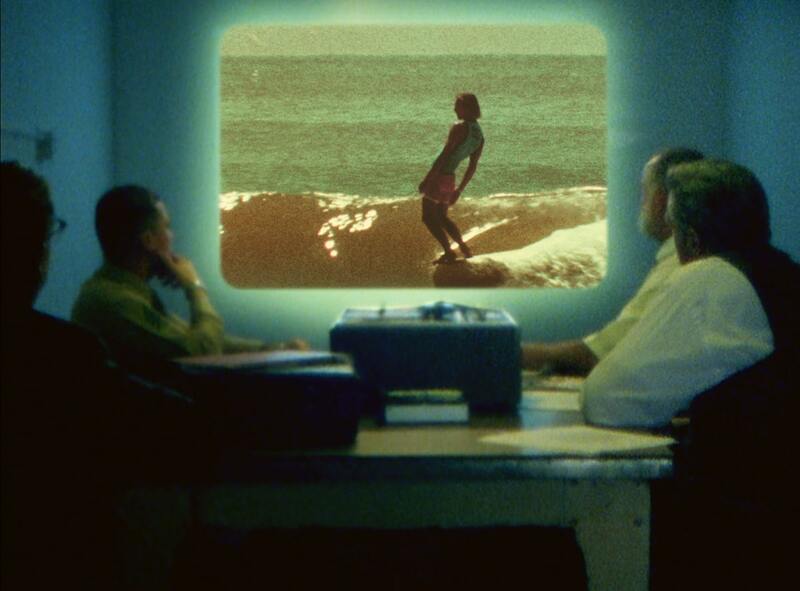 Award winning independent filmmaker Jack Coleman serves up an alternate surfing dimension to blow minds. Featuring the fins free wizardry of Derek Hynd and Ryan Burch as well as mind blowing artistry from the likes of Rob Machado, Alex Knost, Ari Browne, Ozzie Wright and Bryce Young through Australia, South Africa, Costa Rica, Mexico, and California THE ZONE is pure, must see, mind expanding inspiration. This hotly anticipated film follows the world’s most dynamic surfer John Florence and his closest friends from his home on the North Shore of Oahu to his favourite surfing destinations around the globe. From the dreamy blue perfection of the South Pacific to the darkest uncharted waters of Africa (and everywhere in between), Florence accompanied by Bruce Irons, Albee Layer, Matt Meola, Eli Olson, Jamie O’Brien, Jack Robinson, Koa Rothman, Jordy Smith, Koa Sith, Frank Solomon, Felipe Toledo, continues to redefine just what is possible in the ocean. The first surf film shot entirely in 4K this film was made for the big screen. From award wining documentary filmmaker Thomas Brookins comes the compelling tale of Fire & Water. 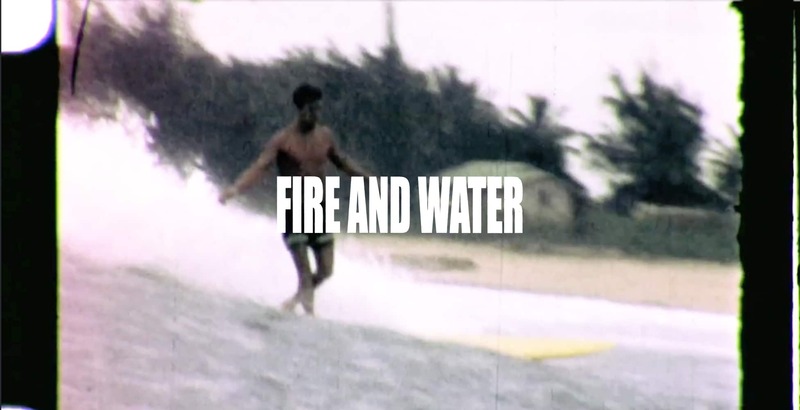 In the late 1950’s Don Eichin and a small crew of pioneering NY surfers set out to make a life in Hawaii, testing their wits in the infamous big waves of Oahu’s Banzai Pipeline & Waimea with some of the greatest named legends of the time. Combining incredible never before seen archive Bolex footage with candid tales, interviews and stunning surf action from New York’s finest, and featuring the likes of Rusty Miller, Rob Machado, Ricky Grigg, Mikey DeTemple, Kassia Meador Balaram Stack, Greg Noll, et al, this award-winning, eye-opening exposition confirms New York’s place in the surfing world. A very special 35 mm screening presented by the filmmaker, Forbidden Trim is one of the year’s most hotly anticipated movies – for good reason. Here’s the scenario: using a group of surfers for cover, a crack commando is sent deep into the jungle on a clandestine mission to eliminate the global crime syndicate, the Caldera Network. In the words of the film’s director George Trimm, “It’s a Grindhouse, Surfing, Sci-Fi, Horror, Comedy, War film.” What’s not to love? Shot on Super 8 and 16mm and combining classic B movie vibes, with a killer, custom scored sound track and some of the world’s most stylish surfers – Alex Knost, Jared Mell, Harrison Roach et al – this celebration of truly independent filmmaking is definitely not your standard surf movie. So hopefully see you there! Lachlan is a 15 year old Photographer and filmmaker from the South Coast of Australia. He lives in a small town named Bodalla and escapes from the countryside most weekends to the beautiful coastlines of the South Coast. Whilst Lachlan may only be 15 years old, he certainly does manage to get up to some cool stuff, so will be blogging to keep us up to date on his travels, whether that is shooting a surf trip on an ordinary weekend or working on big projects. Lachlan originally got into photography and filming for a hobby but since his involvement with Great Venture Surf Co has realised that this is the path he would like to take in life. He is now focusing on expanding his work and hopefully one day making a living out of it. Its a tough gig but he is going to give it a go! Jeff Allen lets us into his life and thought process in a touching and inspiring short film, if this doesn’t strike a chord and invigorate your sense of adventure then nothing else will. Press play and drift away for 5 mins ….. trust me you will not regret it. One Day to go – Bristol Surf Film Festival! We have our travel booked, the schedule is out and we are ready to go to Bristol! Having only been to similar events which over the course of an evening it will be interesting to see how it pans out having it over a full day and if we are sober enough by the end to remember the last film! We are also really happy to see the film ‘The Accord’ on the line up. We saw this at the Ericeira Surf Film Festival and it was a firm favourite of ours and even went on to win. Let’s see if there is any of the other films on the list that give it a run for it’s money. Anyway if you around, make sure you head down and say hello to us!! We are extremely lucky here at GVSCO to have started working with the legendary explorer and Journeymen that is Jeff Allen. With his very unique skill set and passion for the outdoors Jeff strives to bring the nature and humanity back to its symbiotic relationship where by we can enjoy the beauty of the natural world but also respect it, view it and live with it in an educated and thoughtful manner. Jeff is the founder of the International Sea Kayak Guide Association (ISKGA), which is a commercial guiding organisation, specialising in training and assessments of commercial sea kayak guides. Jeff is also the founding director of several successful commercial sea kayaking businesses, specialising in tuition, guiding and expeditions by kayak/canoe, these businesses include Expedition Paddler, Sea Kayaking Cornwall Ltd and Gylly Adventures. In 2008, working with David Whiddon (Sea Survival Trainer RNLI) Jeff developed the first sea survival programme aimed specifically at the sea kayaking industry, this two day course has since been emulated by various organisations around the world in Canada the US and Europe and he is regularly consulted in areas of rescue, survival and incident management. Jeff is the technical advisor to the DGI, Denmark’s leading sea kayaking organisation as well as to various other sea kayaking businesses. He teaches and presents regularly at sea kayak symposia around the world Within the sea kayaking industry, Jeff is considered to be a technical expert in these fields and due to this recognition is also a regular contributor and columnist to the Ocean Paddler magazine. Jeff draws not only on his proffessional awards in training the service, awards which include the highest levels of proficiency and coaching of the British Canoe Union – but also on his experience, to date Jeff has accumulated more than 20,000 miles of practical expedition sea kayaking experience, including a classic first un-supported circumnavigation of Japan, the first British Circumnavigation of South Georgia, a combination Ski and Kayak circumnavigation of the Scandinavian Peninsular and a world record breaking speed circumnavigation of Ireland as well as many other personal and commercial expeditions to the Mediterranean, North & South America and Europe. He plans the logistics and itineraries for these expeditions which run in a variety of climates where temperatures have ranged from -20 (Winter in Northern Norway) to + 35/40 (Sub tropical Japan & Mexico) Celsius and has an understanding of the requirements for conducting small boat expeditions in a whole variety of environments. So it is clear to see that the man and legend that is Jeff is a force to be admired and not to be messed with 🙂 . With such a broad skill set and huge vault of experience to draw upon is there anything that he can not do ? We are extremely excited and honoured to bring you these adventures as they unfold so keep your eyes out for Jeffs blogs ….. they are sure to make you rethink and get up and outside. Bristol Surf Film Festival 2015 from Alejandro Casado on Vimeo. Bristol Surf Film Festival is set to be bigger and better than ever and we are really excited to be giving you a sneak look at what they have coming up. ‘The Bristol Surf Film Festival is a celebration of surf film, surf culture and creativity in the UK’s south west. A day and night of international feature films, award winning shorts and home grown productions is accompanied by exhibiting brands and organizations that represent the core of grassroots surf culture in the UK. This year Spoke & Stringer join forces with Deus ex Machina to bring you the very best of Ride Culture. Films include the Premier of South to Sian from Deus, The Accord, Ababco and more to be announced! View From A Blue Moon -First 4K Surf Film! We thought you guys might want to check out this surf gorgeous film and even if you don’t want to buy the full film, the trailer is definitely worth a watch. View From A Blue Moon 4K from The Orchard on Vimeo. See the sport of surfing as it’s never been captured before in John Florence and Blake Vincent Kueny’s second signature release, this time in association with the award-winning film studio Brain Farm. The first surf film shot in 4K, View From a Blue Moon follows the world’s most dynamic surfer John Florence and his closest friends from his home on the North Shore of Oahu to his favorite surfing destinations around the globe. From the dreamy blue perfection of the South Pacific to the darkest uncharted waters of Africa (and everywhere in between), Florence faces a broad spectrum of emotions as he continues to seal his legacy as one of the most gifted surfers ever. And while the young Hawaiian is pulled in increasingly different directions, there is no form of pressure that will keep him from his ultimate goal — to redefine what is possible in the ocean. Experiment No. 3 – Scrap Surf from Shwood Eyewear on Vimeo. Shwood founder Eric Singer teams up with friends to create a unique wooden surfboard. Watch how Singer and company process and shape this functional one-of-a-kind board using reclaimed wood found on the Oregon coast. Kahana Kalama, professional surfer turned shop-owner (alohasunday.com), was there to test the limits of the handmade board upon its completion.